Based on the recent statement provided by BlackBerry manufacturer formerly known as Research in Motion, their new smartphone models are in the spotlight. Customers from all over the world have already ordered 1 million items, allowing the company to reach an important milestone. Research in Motion Ltd. made various changes at the beginning of the year, the adoption of a more popular name being just one of them. The Canadian company has adopted the name of their most known handset, BlackBerry, after introducing their latest model of smartphone, Z10. The rebranding seems to have had very good results upon the company as BlackBerry announced on Wednesday that one of their partners ordered 1 million Z10 handsets. Investors were the first to get impressed by the recent announcement as share prices registered an 8.2-increase soon after the declaration was made. BlackBerry’s spokespersons refused to disclose the name of the partner who ordered 1 million handsets, but they reassured the media that it was an established partner. The Z10 manufacturer provides phones to carriers, corporations and government agencies, so the established partner may belong to one of the three categories. Z10 is helping the Canadian telecommunication company regain a better position on the smartphone market. BlackBerry was among the first manufacturers to promote the concept of smartphone, but it was soon dethroned by rivaling companies like Apple and Samsung due to the attractive features that the latter offered. The company is still far behind iPhone and Galaxy manufacturers, but the 1 million milestone has helped investors and executives regain their confidence. Rick Costanzo, BlackBerry’s executive vice president of Global Sales, was very pleased with consumers’ response to BlackBerry 10. In his opinion, the interest that consumers have shown so far is an indicative of the fact that the public is open to other types of devices besides the ones provided by well-established smartphone manufacturers. 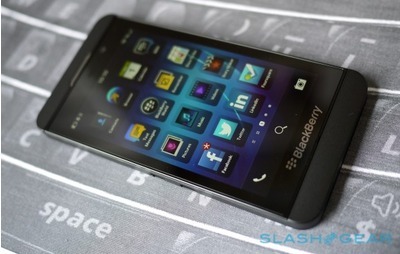 “Consumers are ready for a new user experience, and BlackBerry 10 delivers,” he added. Moreover, the huge order proves that the new strategy based on partner support and the re-invented new platform is truly successful.